James A. Burek, age 70, of Harborcreek, passed away suddenly, as a result of natural causes, on Saturday, January 12, 2019. He was born in Erie on March 22, 1948, son of the late Alois and Helen (Modzelewski) Burek. Jim was a 1966 graduate of the former Academy High School. He was employed by the General Electric Co. for 40 years prior to his retirement and was a member of the G.E. Quarter Century Club as well as an active member of the G.E.E.R. Jim was a member of St. James R. C. Church where he had previously served as an usher. 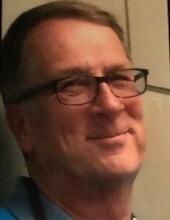 He was an avid bowler, enjoyed golfing and traveling and in years past, served as a coach with the Harborcreek Little League. Most of all, Jim treasured time he spent with his loving family. Survivors include his high school sweetheart and beloved wife of 49 years, Barbara J. Struchen Burek; one son, Allen J. Burek of Erie; one daughter, Stephanie L. Burek of Harborcreek; three grandchildren: Brandon Thomas, Olivia and Sophie Burek and his father and mother-in-law, William and Lois Struchen of Greene Twp. Family and friends may call at the Dusckas-Taylor Funeral Home & Cremation Services, Inc., 5151 Buffalo Rd. (at Hannon Rd. in Harborcreek Twp. ), on Tuesday from 6 to 8 p.m. and Wednesday from 2 to 4 and 6 to 8 p.m. and are invited to attend a prayer service there on Thursday at 9:45 a.m. followed by a Funeral Mass at St. James R. C. Church at 10:30 a.m. A private interment will be held at the convenience of the family. Memorial contributions may be made to St. James R. C. Church, 2635 Buffalo Rd., Erie, PA 16510 or to Brookside Volunteer Fire Department, 3560 Athens St., Erie, PA 16510. To send flowers or a remembrance gift to the family of James A. Burek, please visit our Tribute Store. Rev. James P. McCormick, Pastor of St. James Roman Catholic Church, will officiate. A Prayer Service will be conducted at the funeral home on Thursday at 9:45 a.m.
"Email Address" would like to share the life celebration of James A. Burek. Click on the "link" to go to share a favorite memory or leave a condolence message for the family.